Peckfield Pit Disaster, Micklefield, Leeds, West Yorkshire. Noah Ball aged 37 years. William Barker aged 40 years. James Benson aged 56 years. George Benson aged 24 years. Fred Benson aged 14 years. Elias Clarke aged 20 years. William Dean aged 37 years. Thomas Everett aged 27 years. Sam Godber aged 16 years. George Hayes aged 17 years. William Herring aged 31 years. Jos. Johnson aged 50 years. Tom Longden aged 43 years. Edward Maggs aged 26 years. Henry Martin aged 56 years. Harold Martin aged 56 years. John Meakin aged 34 years. Job Millership aged 52 years. George Moakes aged 55 years. Charles Noble aged 33 years. Thomas Oakeley aged 50 years. William Shelfdon aged 34 years. Richard Shepherd aged 28 years. Cvharles Shepherd aged 68 years. James Shillito aged 50 years. David Shillito aged 55 years. John Sutton aged N/A years. Charles Swift aged 35 years. Dan. Taylor aged 25 years. John Wallis aged 48 years. Robert Westerman aged 36 years. Joseph Whitaker aged 55 years. Amos Whitaker aged 32 years. William Naylor Whitaker age unknown. George Whitaker aged 22 years. William Wilks aged 47 years. Walter Winfield aged N/A years. Joseph Jackson aged 30 years. Walter Jackson aged 28 years. Rayner Scrimshaw aged 22 years. Arthur Simpson aged 24 years. John Simpson aged 26 years. George Simpson aged 21 years. Henry Talbot aged 41 years. Arthur Howson aged 10 years. Jos Wilson aged 60 years. Alfred Wilson aged 19 years. Harry Bellerby aged 19 years. Frank Edwards aged 35 years. Alfred Norton aged 28 years. James Wilson aged 30 years. George Dunnington aged 20 years. An investigation was carried out by Mr. Wardell and Mr. Thomas and presented to The Right Honourable Sir Matthew Ridley, Bart., The Secretary of State for the Home Department. They were of the opinion that the explosion did not origin at the bottom of the shaft when a flame was produced since paraffin that was stored near the official’s cabin was not affected by the flames. 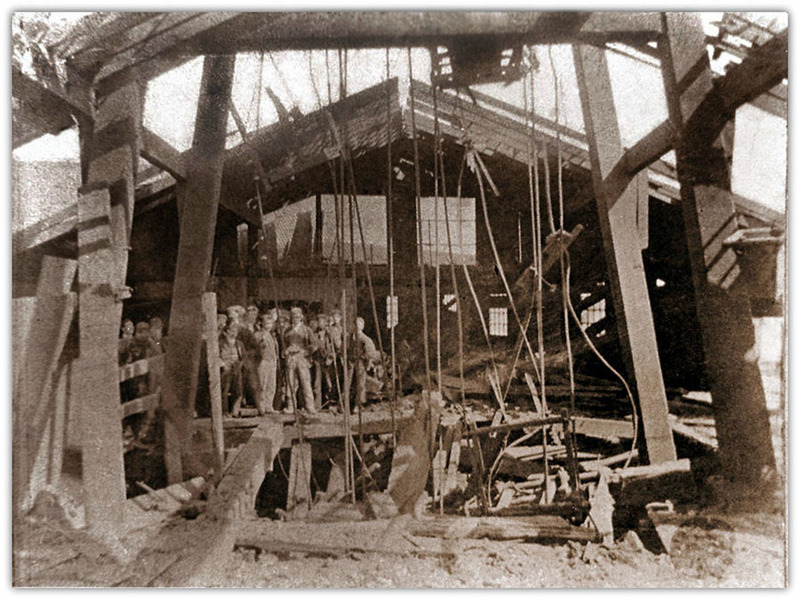 All interested parties were represented and the inquiry came to the conclusions that the probable cause of the explosion was firedamp coming into contact with a naked light and exploding and thus igniting the coal dust, that coal dust carried the explosion forward from its initial point, that naked lights ought not to be used in the Micklefield colliery, that further precautions than those adopted prior to the explosion to avoid dangers arising from coal dust, should be taken in the Micklefield Colliery and that no prosecution should be instituted against anyone in respect of the explosion. The owners of the Colliery bought Routledge and Johnson safety lamps which were similar to the Muesler lamp for use in the colliery.